Daisy Ridley Teases Minor Star Wars: Episode VIII Details. Daisy Ridley: Star Wars Episode VIII Title Reveal Won’t Happen Anytime Soon. 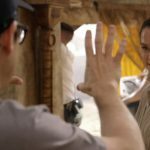 Daisy Ridley discusses Rogue One, Episode VIII, and more!